Who Will Save Us from AUA Now? On Sunday, 1 September 2002, during the Assyrian American National Convention in Detroit the delegates of 37 Assyrian affiliate organizations will cast their votes for the next president of the Assyrian American National Federation. Zinda Magazine's endorsement of the incumbent, Atour Golani, is based on his commitment to protecting the connection between his organization and the Assyrian Universal Alliance and preventing the possible dissolution of the AANF. It is a well known fact that hardly any talented people wish to work for the AANF; that its affiliates seldom demonstrate any affinity for its central management and decisions; and no Assyrian ever takes its initiatives or activities with a grain of salt. The old cronies that assemble each year at the National Executive meetings are terrified by the prospect of radical challenges to their power. So each year they select a male member of their directors to represent their futile views and inert agenda. Why then would the selection of the next president (note the use of the word "selection") be of any consequence? At this year's Convention the most important issues facing the future of this organization are a) its membership in the Assyrian Universal Alliance and b) the possible cessation of a few dissatisfied affiliates on the East and West Coasts, namely the associations in California. Mr. Golani has not been effective in implementing any noteworthy initiatives in the past two years; however, he is the only candidate that can save the AANF from falling apart into smaller, regional "federations". A member of the AUA Executive Board, his role is key to securing the close relationship between his organization and the Assyrian Universal Alliance. Reliable sources to Zinda Magazine explain that Mr. Golani's opponent, Mr. Alladin Khamis if victorious in the next weekend's (s)elections, may put in motion the proposal for an immediate end to AANF's membership in the Assyrian Universal Alliance. The Assyrian Universal Alliance, under the leadership of Mr. John Nimrod, has been as ineffective as its American affiliate since the mid-1970's. On the other hand, it binds together several Assyrian federations in Australia, North America, Europe, Middle East, and the former republics of the Soviet Union. Undermining the tie between the AUA and its largest member - namely the AANF - will destabilize this cohesion and weaken the little influence this political organization has in Washington and in the Middle East. Let's hope that the unproductive assembly of our American delegates next weekend will not dismiss the importance of hierarchy in global Assyrian politics. Such a structure brings discipline and consistency when quantity is valued over quality - an attribute missing in our global politics due to a lack of central command and control. Mainline Christian Churches in the West, as with all professional corporations, take very seriously the trust their members put in their ministries. When this trust is broken, as in the recent case between the shareholders and Enron or WorldCom, the result is a quick downfall of that religious denomination, and ultimately the financial and intellectual bankruptcy of the institution. In the case of the churches, membership dwindles and slowly the Church becomes a gathering ground for the aged and the needy - even a greater financial burden on the elders of the church. Every church must then abide by the strict financial principles and disclosure requirements of its own "Council for Financial Accountability." Every church is operated as a non-profit organization, and in America, classified as tax-exempt under Section 501(c)(3) of the Internal Revenue Code. Thus, each member should be able to obtain a copy of the annual financial statement by simply requesting it by writing or in person. Most Church of the East parishes operate under the same non-for-profit structure and Zinda Magazine was able to obtain financial statements on a select number of dioceses from a certain federal government website. Yet the financial management of the Church as a whole is more ambiguous. In our research of the current financial well-being of the Church of the East, Zinda Magazine was unable to find any published world-wide or country-based consolidated annual statements. In fact, we believe that no single prelate including the Patriarch is aware of the financial picture of the entire church at any one time. Accordingly, if the Patriarch for example, lacks the expertise of such an important skill, why should there be not a council composed of expert lay and qualified priests to assist him in the financial management and administrative planning of his Church? The Assyrian Church of the East has 120 married priests (among whom a few are also divorced) plus 7 celibate priests (unmarried). In the Middle East, the bishop of the Assyrian Church of the East pays a small salary to his parish priests, who are mostly married with children. This salary is hardly more than what an average laborer earns in those countries. Most of the priests have no retirement plans and depend upon the support of their own grown up children or relatives outside of their native countries. The deterioration of the economical conditions in countries like Iraq, Syria and Iran pushes the clergy into further financial hardship. An estimated monthly income of a parish priest in the Middle East in Iraq, Syria and Iran is between $U.S. 50 - 100, plus housing. The situation of the parish priests in the Western countries is substantially different and to some extends better. This is due to more stable economic conditions and better political state of affairs. Still, most of the priests at retirement are likely to depend on what their respective government offers in terms of social security and medical benefits. Given their low average salary, they usually do not have sufficient savings to secure easier lifestyle during retirement. The average monthly income of a priest living in the Western world amounts to approximately $U.S. 700 - 1,400, plus housing. In all, most of the priests both in the East and the West live in a dignified and content situation, but are never financially well off. Any ways, why should Church of the East priests enjoy a good standard of living? More than any other time, today's Church of the East needs educated and qualified individuals to be ordained priests and bishops. For today's mentality, sound financial conditions are attractive reasons for everyone, especially for priesthood candidates. Married priests will have families to support, children to educate and retirement to worry about. The rapid prosperous and costly lifestyle in the West is efficiently carting off potential, qualified candidates for the priesthood from becoming the new educated generation of priests in the Church of the East. The number of the prelates (bishops, metropolitans and patriarch) in the Assyrian Church of the East is only twelve. The Assyrian Church of the East bishops relatively live under higher standard of living than the priests. In the Middle East, the Church provides to most of its bishops and metropolitans a monthly salary, comfortable housing, transportation (usually an automobile with a driver) and housekeeping personnel (for cleaning and cooking). Zinda Magazine was unable to figure out the average amount of the bishops' monthly salaries, since there is no such report of salaries available in any of the dioceses. Zinda suspects that the monthly salaries of the bishops are not too high; despite the fact that there is no financial accountability or reporting by any Assyrian diocese in the Middle East (Iraq, Syria and Lebanon) and India. In the Western countries the situation differs greatly. The bishops in the United States and Australia minister in their churches through a non-for-profit structure, and hence are mandated by the local and federal governments to report their annual earnings and expenditures to regional and federal tax authorities. Each diocese provides its bishop (there is so far no Assyrian metropolitan see in the West) with a monthly salary and housing. The average monthly income of an Assyrian bishop in the West is between $1,000 - 2,000, plus housing. Up till now, reasonable retirement plans and suitable elderly housing are still unavailable for future retiring Assyrian Bishops, Metropolitans or the Patriarch. However, Zinda Magazine has also learned that in the past a few years His Holiness Mar Dinkha IV has declared that his express wish is to construct a residential center in Chicago, where such services could be offered to retired Assyrian prelates. Such project could cost the Church of the East in Chicago between one and two million U.S. dollars and so far no concrete steps have been taken to raise funds or to purchase property, but it is still an idea on a drawing board. The Assyrian Church of the East has approximately 410,000 adherents, spread in 121 parishes (churches) and 19 missions (a community of faithfuls without a priest) in 16 countries. They are ministered by 126 priests and hundreds of deacons. Most of these parishes have church buildings where Sunday services are held in accordance with the liturgy and rites of the Assyrian Church of the East. Properties of the majority of these churches are paid off and their parishes are in general financially stable without being outstandingly prosperous. Church of the East parishes are mostly supported by donations from their members. In the West, the main sources of revenue remain to be the membership dues (somewhere between $U.S. 100-150 a year per family) and the various social and fundraising activities held by the parish board. The average parish size is about 200-300 families. Of course, large church communities in the West like Chicago and Sydney have possibly thousands of paying members. The contribution of Assyrian families in the Middle East and India is at its minimum - $U.S. 1 to 2 - because of the obvious economic conditions. A few parishes have also built social halls to bring in additional revenue. In Los Angeles (CA), San Jose (CA), and Sydney (Australia) for example, the church hall is rented for weddings and even musical concerts. As far as our research shows the game of bingo is no longer played for the purpose of generating revenue in any of the Church of the East parishes. One of the leading financial burdens that the Assyrian Church currently faces is its indirect support of the Assyrians scattered as refugees in the "stepping-stone" countries: Jordan, Turkey, Syria, Lebanon, Athens, Pakistan, China, Thailand and Mexico. Since the aftermath of the Gulf War in 1991, the general income of Assyrian parishes has in the United States, Canada and Australia plummeted nearly one-half. One reason may be the inability of the Assyrian faithfuls to support their parishes and at the same time their relatives who are seeking refugee status in the West. Western Countries continue to ignore the plight of these refugees. The Assyrian Church of the East members may be depriving their parishes from millions of dollars that are spend in supporting family members in the stepping-stone countries. One of the most progressive and historically important programs that His Holiness Mar Dinkha has taken on in recent years is the education of the Assyrian bishops and priests. Today, there are more than one holder of doctoral degree and a handful others who have already obtained their master's. Since the past a few years, there are five other unmarried student-priests studying in Rome in pursuit of their doctoral degrees in theology and philosophy. These priests are serious candidates for the prelate positions in the Church (i.e. future bishops). This educational program is the result of the closer relations between the Assyrian Church of the East and the Roman Catholic Church. These relations have presented the Assyrian Church with a historic opportunity to bring to the fore the standard of education for its future leaders. For more than one decade, the Catholic Church has been providing scholarships grants for Church of the East candidates of priesthood and bishopric. Considering the cost of education in Western European and American Universities Zinda Magazine has estimated that the total expenses of each student studying for his Master degree costs more than $100,000 and for a doctoral degree nearly $150,000, by the time he graduates. In Iraq, almost every Assyrian seminarian in Baghdad after his graduation from high school continues on to Babylon College, an establishment operated by the Chaldean Catholic Church. Babylon College has more than 250 students and 45 professors from Iraq, Lebanon and Europe. Even here the Assyrian Church of the East clergy receive free education paid for by the Catholic Chaldean Church. 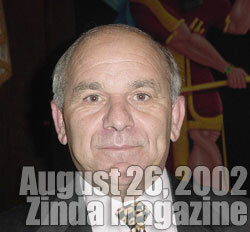 Zinda Magazine was unable to determine the cost of the seven-year theology program at the Babylon College. Being the oldest, most powerful and significant Assyrian organization, the Church of the East must survive the odds facing its members both in the East and the West. For obvious reasons, the survival of the whole Assyria nation is dependent on the survival of the Church of the East. For the past 2000 years the Church of the East has been and continues even today to be the soul of this nation. As is clearly evident in our research, the financial strength of the Church of the East is modest. The dignity and honor that this Church has for its faith and forefathers are unmatched, yet its physical survival continues to be on a day-by-day management, without any visible vision of administrative and financial planning. How does then the Church of the East become financially stronger? The Patriarch (for the whole church) and the Bishop (for the diocese) must illustrate professionalism in financial administrative management and the local Parish must be accountable for its financial spending, planning and reporting. As a member of the oldest and most powerful Assyrian organization, every parioshier of the Church of the East must be able to judge whether his or her Parish, Diocese, Patriarchal See, or the Church as a whole, is following proper standards of financial accountability. The parishes and diocese around the globe must also be held accountable by requiring them to abide by a single standard code of ethics. This code must firmly explain the donors' rights and enforce factual and accurate reporting of all funds, revenues, expenses, and investments in all parishes and diocese around the world. Since the Church of the East is not inherently rich, she depends on her members for financial support, in which case her best tool of gaining their donation becomes first and foremost gaining the trust and confidence of the faithfuls. While some believe that most bishops do not favor a publicized accounting practice for their organizations, Zinda Magazine finds the Church's extreme de-centralized structure as the main reason for this ineffective financial standing. No Bishop or Metropolitan is held liable under any standard financial code of ethics, by the Patriarch. This de-centralized structure allows greater freedom for any diocese to operate in accordance to its adopted country, and minimizes the power of a central body or person as the executive officer of the Church - in this case the Patriarch. Upon commitment to a code or standard of financial accountability, it will be possible to improve the overall fundraising activities of the Church, and most importantly, determine a financial budget and plan of action for the future. On the other hand, the lack of such practice will move the Church of the East parishes in the West closer to financial ruin and increase the number of the faithfuls who continue to remain distrustful of their church leaders' financial practices. Frankly, the survival of the Church of the East depends on the fulfillment of two universal principals: dignity and honor in practicing the church's religious ministries and, at the same time, sound administration and financial planning in managing the church's revenue and expenditures. The Church of the East, like any other professional organization should hold itself accountable to its spiritual and financial principles. If it is to survive, the Church of the East must gain the trust of its faithful, plan and report its financials, upgrade its administration system by emphasizing on accountability, and lastly centralize its worldwide income-generation, if not entirely, at least in part. Next Week: Part 3 of 3 - What Must Be Done Now? (ZNDA: Baghdad) According to a report from North Iraq, on 15 August a 70-year old Assyrian nun was murdered in Iraq. The Chaldean Catholic nun, Sister Cecille Moshe Hanna was fatally stabbed while in her room at the Convent of the Sacred Heart in Baghdad. Born in 1931, Sister Cecille joined the Convent of the Sacred Heart at a young age to lead a life of righteousness in her faith. She devoted her life to serving people, helping the poor, ill and those in need. In a letter to the Iraqi officials, His Beatitude Mar Rafael Bedaweed I, has condemned the act: "I condemn strongly this criminal and inhumane act on one of our Chaldean nuns in Baghdad, and demand from the officials to work seriously in tracking down and punishing those criminal thugs to prevent such appalling acts, and I also demand that maximum punishment be applied so as to spread peace and tranquility in the heart of our citizens." The Assyrian Women's Union in North Iraq has also condemned this act of murder and urges the authorities concerned and human rights representatives to make the utmost effort to arrest the perpetrators of the crime and bring them to justice. (ZNDA: Washington) On 2 August the American University in Washington D.C. announced that Carole O'Leary, a scholar-in-residence at American University's Center for Global Peace, returned from a three-week research assignment to North Iraq, analyzing regional views of a post-Saddam government and regime change. "I focused my research on interviewing people from the smaller ethnic and religious communities -- Assyrian and Chaldean Christians and Turkomen -- as well as interviewing Kurds, who make up the majority in the region," said O'Leary. "I find it significant that the smaller, non-Kurdish communities strongly support federalism and regional governance for Iraqi Kurdistan as the best solution for post-Saddam Iraq." "In fact, my research suggests that groups that do not support federalism and the Kurdistan Regional Government, such as some Assyrian and Turkomen groups in the U.S. and Europe, are funded and supported by outside interests, namely Saddam's regime and the government of Turkey," O'Leary said. "It is also true that the major Iraqi opposition groups support federalism, as they stated on the record at our conference at American University," O'Leary said. O'Leary hosted the conference "Iraq's Kurds: A Key to Stability in Iraq" at American University on June 8, which brought together Iraqi opposition leaders. Located in Washington, D.C., American University is a leader in global education, enrolling a diverse student body from throughout the U.S. and more than 160 countries and providing opportunities for academic excellence, public service, and internships in the nation's capital and around the world. On 26 August in an article in Washington Post, O'Leary warned that the extremist Islamic militancy or Wahabism in North Iraq poses a danger to the Christians. The most famous adherent of this form of Islamic fundamentalism is Osama bin Laden. Wahabism gained a foothold in the Muslim world in the aftermath of the Iranian Revolution in 1979, as the Saudis, tacitly encouraged by the United States and its allies, used their enormous financial resources to ensure that radical Shia Islam did not spread to the Sunni Muslim world. In order to check Iranian influence in Pakistan, for example, the Saudis financed the establishment of Wahabi madrassas, or Islamic schools. It was in those Pakistani madrassas that the Taliban movement was born. Ironically, it was the establishment of the Kurdish safe haven that opened the door for Saudi religious charities to gain a foothold in North Iraq. Today, traditional Kurdish Sunni mullahs estimate that as many as 1,000 Saudi-financed mosques, promoting Wahabi ideals, have been established in North Iraq since 1991. The International Islamic Relief Organization, a Saudi charity linked by U.S. investigators to support for al-Qaida is the main source of such financing. Assyrians in an interview with O'Leary commented that they fear the influence of Wahabism. Christian women normally do not cover their hair, but some have recently been attacked, apparently for their bare heads -- in some cases with acid. Christian-owned liquor stores and beauty parlors, tolerated by most Kurdish Muslims, have been bombed also. Up to 80% of the total work stages in the project have been completed. The building consists of two floors with 28 bedrooms, enough for 140 students. The ground floor area is 570 square metres, which consists of 12 bedrooms, kitchen, two halls (to be used as restaurant and reading room), bathrooms and two gardens - the area of each being 192 square metres. The area of the first floor is 546m2 and consists of 16 bedrooms and bathrooms. The building has a vault of 117 square metres, to be used as storage. Project 2: Drinking Water For Rabatki & Meruki Villages (Nahla Region). The work to provide clean drinking water to the Rabatki and Meruki villages in the Nahla region is in progress. The project includes laying pipelines from the natural spring water source to the two villages. The total length of the pipeline is 4km. This pipeline will distribute the water to all the villages' houses, after water tanks have been built in each village along with water pumps. Up to 80% of the total work stages in the project have been completed in the Day care center project and office building for the Assyrian Women Union in Nohadra (Dohuk) city. The project's land is within the Nissibin Dormitories' land. The building area is 275 square metres, consisting of six rooms - one for the Assyrian Women Union (AWU) administration, day care administration, bedroom, play room, an eating room, and a hall. Personal contribution by Mrs. Jacklin Bejan, California, USA. Up to 80% of the total work stages in the project have been completed for the AAS-Iraq office building in Dohuk city within the Nissibin Dormitories' land. The building area is 115 square metres, consisting of 5 rooms for AAS administration. Project 5: Electricity Generators Project in Nahla District. Supplying Nahla villages with 5 electrical generators for 5 of the 7 Assyrian villages in the isolated Nahla district. Five electrical generators were purchased and installed; (25 KV) for Hizani village, (25 KV) for Kashkawa, (30 KV) for Belmand , (13 KV) for Zhouli, and (13 KV) for Khalilani. The constructing of a complex electrical network to supply the electricity to each village home was also installed. The work continues in Rabatki and Miruki villages to implement the hydro electrical project to generate electricity from spring water energy, enough for the final 2 villages. Assyrian American National Foundation (AANF). Start working in casting roofs in Tilan village Atroush area. The project includes casting the roofs of 25 village homes using reinforced concrete. Start work to prepare houses in Levo village, Zakho area. The project includes, repairing the walls and floors of 30 village houses. .
Start building a church in Baz village Barwari Bala area.. The project includes building church, two rooms for service along with a fence. Cleaning the ruins in Dawoodia village, Sapna area to celebrate Mar Daniel's memory. .
Evangelical Lutheran Church in Wunttenburg (Sttutgard) & in Bavaria (Munich). Supporting Assyrian schools in the Dohuk and Arbil areas, including paying salaries to the lecturers, helping needy teachers, and providing some basic needs for the schools. Covering the transportation costs of students and teachers in Duhok and Arbil. Covering the costs of Assyrian Teaching Committee in holding different types of educational activities. o Covering the costs of housing, feeding 90 students. Paying monthly salaries to the lecturers, bonuses for teachers, dormitories' supervisors, and workers. o Paying monthly salaries for lecturers, bonus for teachers. Covering the transportation costs of the students and teachers. Through Assyrian Student & Youth Union, our society covers the expenses of housing, feeding, and transporting 180 students from Arbil universities & institutes, 80 students from Dohuk Universities & Institutes. Covering transportation costs of high schools in Shaqlawa and Armota and helping needy students. Our teaching process relies on the support of mainly AAS-America, as well as AAS branches in Europe, Australia, Canada, other Assyrian National Organizations and others. Our charity pharmacies and clinics are continuing their medical services in Dohuk, Sarsink, and Ankawa, especially after receiving a 457kg medical shipment sent from the AAS of America, as a continuous support for our pharmacies and clinics. Recent medical trip to Nahla's 8 villages, where patienst were treated and medicines were freely distributed. Covering treatment expenses of many cases, and contributing to others. Assyrian Aid Society - America & Others. Our society presents different types of aid to needy families in different areas, according to applications presented to our society. Continue supporting the Day Care Center in Ankawa and providing a special bus for the transportation of children. Supporting the AWU in publishing Nahreneta, its periodical newspaper. Support the Union in achieving its different activities. Support the Assyrian Student & Youth Union in publishing Mezalta, its monthly newspaper. Support the Assyrian Student & Youth Union in achieving its different activities. Supporting Assyrian Cultural center, in achieving different types of cultural and social activities. Sanharib And Akad Athletic Clubs. Buying a new 21-seater bus for the Sanharib Athletic club, thanks to a special fund from AAS of America. The office of the National Security Council invited Sen. John J. Nimrod of the AUA to have a dialogue on the current conditions of Iraq Assyrians and share the Iraqi Assyrian vision for a post Saddam Iraq. The Delegation visiting Washington consisted of Secretary General John Nimrod, President Atour Golani of the Assyrian American National Federation and AUA Chapter Secretary of Americas Carlo Ganjeh. The meeting took place on the morning of July 29, 2002 in the Executive Offices adjacent to the White House. The Director for Iraq and the Persian Gulf was well informed about the plight of the Christian Assyrians. It was refreshing and encouraging to hear a Government Official who recognized the repressive policies followed by Baghdad which force Assyrian families to abandon their homes and reclassify themselves as Arabs. A lengthy discussion followed where we were able to inform the Director who the Assyrians are and explained the Assyrian situation as it is today. The discussion brought out why the Assyrians have fled to over forty countries around the world. AUA also presented information on the needs of the Christian Assyrians who are the indigenous people of Iraq. It was made very clear that since the creation of Iraq in 1923 Assyrians have only been recognized as a Christian Minority and denied their human rights. The Iraq Constitution of today only recognizes Arabs and the Kurds and does not mention Assyrians by name who are treated as second class citizens. President Golani showed a letter and some pictures indicating that in Northern Iraq the local government does not permit the building or re-opening of Christian Churches. The vision of the delegation for Assyrians in a post - Saddam Iraq among other things included constitutional recognition, Assyrian representation in a democratic sectarian coalition government, recognition as the indigenous people of Iraq, receive the same rights and freedoms as any other sector of the Iraq population in a central or federal state, allowed to practice and preserve our culture, language, customs, religion and traditions and the right to return from within or without and obtain the return of their homes and lands. Beside the main objective of this meeting of identity and rights it was made clear that Assyrians had to be recognized and included in future discussions on Iraq by the United States. Assyrians are the third largest ethnic group of Iraq and the second largest religion in Iraq. The Assyrians, Chaldeans, and Syriac people are all from one root. In the United States the Assyrians are the main and largest people concerned with Iraq and number over 500,000 Americans. This American Christian Community is entitled to be included and recognized on issues concerning Iraq. It was also pointed out that Assyrians can only be represented on any future discussion on Iraq by Assyrian representatives. Assyrians cannot accept representation by any other people or non-Assyrian organization. In their dealings with Assyrians the US Government should recognize one body or person for the Christian Assyrian concerns thereby all contacts would be channeled thru one source eliminating any confusion or dual representation. This process is followed by the US in dealing with other people or ethnic groups. The meeting ended on a very positive note with the agreement to meet again in a near future. The Delegation also met with the new Officer of the US Department of States' Iraq Desk. The updated list of names suggested as participants on the working groups for Iraq was submitted for consideration. The working groups on Iraq have been initiated and is vital that Assyrians be included. The Officer was briefed on who the Assyrians are and their needs. At this meeting the Delegation made a point that the US Department of State should take more active role in including Assyrians in future meetings and activities regarding Iraq. The delegation also visited several congressional members offices in order to bring more awareness and attention to the plight of the Assyrians. Thank you for your fax requesting Assyrian participation in today's meeting with opposition leaders. I want to assure you that we value the Assyrian participation in our ongoing efforts to secure a better future for all Iraqis. The purpose of the meeting is to enhance cooperation among the INC, PUK, KDP, INA, SCIRI, and CMM leadership. We hope that this measure will make them more effective organization, to the benefit of all groups, including the Assyrian Universal Alliance. I understand that you have been working closely with our Future of Iraq team to identify Assyrian experts to participate in the various working groups. We expect that the ideas these groups generate to shape our approach to post-Saddam Iraq. I encourage you to continue to actively engage with the project. You may have also heard that we are advocating for an opposition sponsored political conference in the fall. Assyrian participation will be considered essential. Again, thank you for sharing your views. (ZNDA: Malabar) The Patriarch of the Syrian Orthodox Church has welcomed the help offered by the heads of five episcopal churches to end the factional feud in India's Malankara Churches. Addressing the press last week, Catholicos Baselios Thomas I, announced that the Patriarch's faction has accepted an offer by the heads of five other sister churches. The Catholicos offered his faction's "total support and cooperation" to the efforts of other church leaders to bring peace to the Malankara Church. The Catholicos' announcement comes as a ray of hope in the church feud that led to street brawls and attempts to grab churches by rival groups being reported from several parts of the Kerala region. The burial of the dead and barring of entry of the faithful to churches vitiated the atmosphere even further in the past few months. The Catholicos said his faction was ready for any negotiated settlement `rooted in Christian faith and based on the 1995 verdict of the Supreme Court'. "The Syrian Orthodox Church is duty-bound to find a permanent solution, based on Christian ideology to the church row," he asserted. The five high priests, including heads of the three Catholic Rites in Kerala, had in a joint letter on August 16, written to both the Catholicoi offering their mediation in resolving the row. They suggested that the two factions sit across the table and talk it over. The church heads who have offered the helping hand are: Cardinal Varkey Vithayathil, Major Archbishop of the Syro-Malabar Church; Daniel Acharuparambil, Archbishop of Varappuzha and head of the Latin Catholic Church; Archbishop Cyril Mar Baselius of the Malankara Catholic Church who is also the president of the Catholic Bishops Conference of India; Bishop K.J. Samuel of the Church of South India and Philipose Mar Chrisostum, Metropolitan of the Mar Thoma Church. The Orthodox faction is yet to respond to the offer of mediated settlement. (ZNDA: Baghdad) Iraq's culture ministry has recovered 1,000 archeological pieces stolen more than 10 years ago, the head of the museums department said Sunday. The treasures were returned by several countries including Britain, Jordan and Saudi Arabia and with the help of Interpol. The pieces comprised pottery utensils, gold jewelry, coins and statues. The most important piece is the head of an Assyrian winged bull, which was looted from the Nineveh province. Iraq contains more than 10,000 archeological sites, many in North Iraq, and most of which have not yet been uncovered, according to official statistics. Baghdad alleges many archeological sites in Iraq were pillaged by US forces in 1991 in the thick of the Gulf War in which Iraqi occupation troops were expelled from neighboring Kuwait. Iraq has also repeatedly accused foreigners of financing the theft of archeological pieces and pointed an accusing finger at diplomats posted in Baghdad and at UN employees. (ZNDA: London) Brigadier E. Merrill Ransford, CBE, survivor of the British campaign in Iraq in 1917-18, was born on May 16, 1897. He died on July 30, 2002 aged 105. Merrill Ransford was one of the last survivors of the British offensives during the First World War in what was then known as Mesopotamia, modern Iraq. When Turkey entered the war on the side of Germany, it was judged necessary to establish an Indian Army division at Basra to protect the oil fields at the head of the Arabian Gulf. Ostensibly to make the base area more secure, an expedition was sent up the River Tigris. But when Kut-el-Amara was taken with unexpected ease by the British 6th Division under Major- General Charles Townshend, a 200-mile advance on Baghdad was attempted. This failed, and Townshend was obliged to surrender Kut with its garrison, despite the offer of a million Pounds bribery to Turkey. Ransford had arrived via the Cape and Bombay as a newly commissioned subaltern in the Suffolk Regiment. Unlike officers and men acclimatized through service in India, he and the other British reinforcements were neither prepared nor equipped to fend off malaria, heat stroke and a variety of intestinal diseases. He saw service against the Turks following the eventual capture of Baghdad in March 1917, but was evacuated first to Basra with malaria, colitis and heat stroke, then back to India where he spent the rest of the war. He was an exceptionally fine rifle shot and between the wars acquired a reputation as an expert in the development of small arms. During Mussolini's Italo Ethiopian war of 1935-36, he was despatched to Egypt to train British units there on some hastily purchased Hotchkiss 30mm machineguns against the eventuality of their having to face the rather better equipped Italian Army. He commanded the Small Arms Experimental Establishment at Hythe, in Kent, achieving much valuable work in the approach to the Second World War. Following its outbreak, he was sent to North America as a representative of the Ministry of Supply to oversee the quality assurance of war contracts with American and Canadian weapon manufacturers. He was subsequently appointed CBE and received the US Legion of Merit. (ZNDA: Chicago) John Sargis of Evanston, Illinois passed away on 14 August 14. He was a dear friend and companion to Thyra Ellenberger; loving father of Dorothy Nutini and the late Diana Sargis; beloved grandfather of Tony and Gina Nutini; dear brother of Jane Barratt, Julie Kiaie, George and Ike Sargis. In lieu of flowers memorials may be made to The Presbyterian Homes, 3200 Grant St., Evanston, IL 60201. Arrangements by N.H. Scott & Hebblethwaite Funeral Home, 847-998-1020 . I commend you for your articles about the Church of the East. It is about time to let our people know what it is made of. I cannot wait for the next two parts. In reference to the response of Mr. Youel Baaba to the fact whether Naji Sabri the Iraqi Foreign Minister is an Assyrian or not: Mr. Baaba is right when he says that it is irrelevant since if Sabri was an Assyrian he has done nothing for Assyrians. However, it is important that our magazine Zinda researches such matters for the sake of accuracy. How could this have escaped you. Sabri is an Arab Moslem from Haditha in Iraq and members of his family have been members of Ba'ath Party for generations. His brother Mohammed Sabri was the Iraqi Ambassador to Iran for years, he was requested to return to Baghdad and was tortured and killed. Sabri's cousin was also executed by the Iraqi Government. Accuracy is important in journalism and I hate to see Zinda criticized for inaccuracy. STOP LABELING CHURCH OF THE EAST AS NESTORIAN! I would like to commend Zinda Magazine for bringing public awareness to the Eastern Churches, namely the Assyrian Church of the East, and the Chaldean Church. Through the online publication of Zinda, a better understanding of the Church can be instilled in all who are interested in furthering their knowledge in the area of theological history. However, the consistent libeling of the Assyrian Church of the East as "Nestorian" needs to stop both in Assyrian publications and in any form of literature. If the ultimate goal of such publications is bringing the Churches closer together then a constant effort must be made to distance themselves from such labels that only "isolate" rather than "integrate." I was honoured to have listened to His Holiness Mar Dinkha Patriarch of the Assyrian Church of the East speak in Hamilton Ontario. Hamilton was one of the stops during the Patriarch's Canadian visit to the Diocese of Windsor, London, Hamilton, and Toronto. After reading numerous pieces of literature regarding the history of the Assyrian Church of the East I was enthusiastic to hear its complete history since the time of its foundation. Interestingly, the research I had completed on the Assyrian Church of the East regarding Nestorious was reiterated by His Holiness Mar Dinkha. During his speech he specifically stated that calling the Assyrian Church of the East "Nestorian" is incorrect for a number of reasons. 1. Nestorius was never a patriarch of the Assyrian Church of the East. 2. At the time the Patriarch was Mar Odeesho who strongly supported the argument that Nestorius had absolutely no affiliation with the Church nor where any of his theological claims regarding the nature of Christ incorporated into the Assyrian Church of the East's belief system. It is not surprising that the Coptic Church, for example, runs everytime they hear the name of the Assyrian Church of the East being proclaimed. It is because of that name that the Church is to this very day still unable to contact them let alone establish an open line of communication between them. So I ask you, why is this ancient thorn, which is becoming dull and fragile through time, repeatedly sharpened and polished by not only the people surrounding it, but by the person enduring its pain? So I am pleading with all publications, scholars, and authors of today: Do not instill these misconceptions about the Church in the minds of our young readers for if the Church is to have any chance of survival it must distance itself as much as possible from any such labels that only seek to split rather than unite the nation. On 12th August, 2002 an article titled "Assyrian Genocide in Mesopotamia" was published that would otherwise have us believe that the genocide against the Assyrian nation (especially the massacres committed against Assyrians in Turkey) had been recognised at a governmental level, in the state of New South Wales, Australia. While we as Assyrians, hope an endeavour to have the wrongs committed against us, whether it be Genocide or persecution recognised, I sadly inform that on this instance, the Genocide against our nation has yet to be recognised at a governmental level in Australia. (3) To write a letter to the Prime Minister of Australia, Right Honourable John Howard asking through him that the Assyrian Genocide be recognised at federal level. When approached about the so called recognition of the Assyrian Genocide at a governmental level, the NSW Local Government Association was quite concerned, that certain individuals were perpetuating the idea that the Assyrian Genocide had been recognised at a Governmental level in the state of New South Wales, let alone on a federal level in Australia. The NSW Local Government Association, is administered by private non-elected individuals (not elected by the public at the ballot box) is not a Government body, instrumentality or authority, and thus has no real say in the affairs of Government, policy or decision. The Association is an advisory body that looks to the concerns and affairs of local Government in the state of New South Wales, Australia. The motions passed on 2nd of August by the NSW Local Government Association, were simply that - Motions. These motions are yet to be resolved. Therefore, we cannot simply misconstrue these motions for resolutions, recognising the Assyrian Genocide. Even if the NSW Local Government Association was to recognise the Assyrian Genocide, this would, in the grand scheme of things, not be of much standing, because as mentioned previously, it is not a Government body or instrumentality; and would be at best, and is, a good stepping stone for recognition of the Genocide at a Governmental level. Therefore, I conclude and emphasize that the Assyrian Genocide has yet to be recognised at a Governmental level in Australia, whether at local, state or federal level. I would like to personally thank few individuals who send many messages on the Assyrian Forum particularly Mr. Youel Odisho and Ms. Ashtar Warda, for showing so much interest in the Assyrian genocide issue and more importantly for undertaking extensive research on the NSW local Government Association to find out the 'truth'. In response to your comments, let me begin by referring you to my press release posted on Zinda on the 2 August 2002. If you referred back to the content of the press release, you would realise that at no stage I have indicated that the genocide was recognised by the State of NSW. The press release stated that the NSW Local Government Association has recognised the Assyrian genocide. Furthermore, it also stated that the same Association passed a motion to National General Assembly (Australia wide Local Government Association) to also recognise this issue. This recognition is only the first step. There are three other difficult steps to get through successfully before the Assyrian genocide is recognised by the Federal Government of Australia. Whilst to some Assyrians the status and influence of the NSW local Government Association may not be perceived important, even though it is representative of over 177 councils in the state of New South Wales. Let me assure you that within New South Wales, this Association is very influential and a highly regarded organistion as it represents the views of NSW metropolitan, regional and rural councils to other governments. One of the key roles of the Association is to present councils' view to governments. The Association has its own elected executives that hold monthly meetings and annual conferences where members are able to vote on issues affecting Local Government. Recommendations are then made by the Association to the NSW Local Government. AUA delegates through the support and enormous efforts of the Mayor of the City of Fairfield, Cnl Anwar Khoshaba were able to lodge a Submission for the recognition of the Assyrian genocide and Martyrs Day with the Association. The delegates (which consisted of Assyrians and non-Assyrians) were asked to also formally address and present the case to the Association and respond to difficult and challenging questions raised by over 50 delegates. The Association was so effected by the Assyrian case that the Association itself recommended (passed a motion) for this matter to be raised at the National General Assembly of Local Government, and that the Premier of NSW and the Prime Minister of Australia be asked to support the recognition. Obviously, this is only the beginning, but it is a good beginning and we should not disregard its value. It is quite sad to see efforts for the progress of our nation are constantly overridden and demolished not by our enemies but by us. We do not need the Turkish government to bring its economic pressure on the NSW government to discourage official governmental organisation such as the Local Government Association for taking the courage to support this matter. Mis-interpretation of information, incorrect discussions and skeptical inquiries with these governmental parties will achieve the same result and can destroy the hard work of many people who are prepared to put the time and make the personal sacrifices for the progress of our nation. Perhaps, if those individuals put some effort in writing congratulation letters to the NSW Local Government Association and thanking them for supporting the recognition, but more importantly for putting it on the map by including it on their own Web-Site and making the Assyrian case easier. I don't personally want to associate the issue of genocide with any other political or personal problems that some of you might suffer. This is a separate and a very important issue for our nation, this has nothing to do with AUA, individuals or any other organisation. This issue should be of concern to all Assyrians and it is in our nation's best interest to treat this mater carefully and wisely. Historically, no one else in Australia had pursued the genocide recognition, obviously AUA has always shown a lot of concern over the issue. So, when the opportunity came about for Assyrians to participate in the first ever genocide conference at the one of the universities in Sydney (Macquarie University) . We did so and our efforts have continued since and will continue into the future. Following this involvement, we have been able to include participation and support of non-Assyrian academics in fighting this battle, who are prepared to dedicate their time and efforts in raising this issue at higher levels. Efforts of people such as Dr. Gabriele Younan, Dr. Racho Donef and many others has helped our cause to be taken seriously. Yet, it is unfortunate to see some individuals of our own community stand on the site and spent all their efforts and time in criticising the efforts of those who dare to takeon these challenges. Your approaches and few unpleasant replies will not stop our efforts. We will pursue this matter to move it to the next stage. Unless, you succeed to blockade our access to the governmental departments and that could be done without any efforts. After all, it took only 15 minutes to destroy the two New York Tower Buildings. The past experience this nation had in 1932 is repeating itself every time there is a good effort toward the betterment of our Assyrian case. Let us, for once, put our personal and political issues to a side, and work collectively in a constructive manner. Let's take pride in our nation's success with organisations such as the Local Government Association, and not spend all our energy on destroying this achievement. After all, other nations have spent years of lobbying to achieve what we have achieved in a shorter period of time. So, let's move forward. Using Internet to promote a spirit of skepticism and destructive criticism is easy but not healthy for a nation that has suffered so much and has achieved very little recognition to date. Let us not abuse the freedom we all so enjoy and appreciate by false and destructive comments against organisations or individuals, which serves no purpose to the progress of our community. Those that enjoy the temporary satisfaction will have to ultimately account for these personal deeds and ambitions, whilst themselves make no efforts towards the progress of our nation. After all, truth always wins out and time will determines it. The recent meeting of the Local Government Association Executive resolved to support recognition of the genocide perpetrated against the Assyrian people in the period 1914/18. The delegation of representatives of the Assyrian Universal Alliance was introduced by Fairfield City Council. Background to the request for recognition was given to the Executive. It was then resolved that information about the matter be placed on the Lgov NSW web site, that the matter be raised at the National General Assembly of Local Government, and that the Premier of NSW and the Prime Minister be asked to support recognition of an Assyrian Martyrs and Genocide Remembrance Day. As the Vice President of the Assyrian American Association of S. Cal in Los Angeles, I would like to correct the Assyrian Comedy Show Article and inform you that the theatrical group that is helping the Assyrian Aid Society in raising funds is the Assyrian Association of S. California's own performing group. I would like to inform our Assyrian public that the Los Angeles Assyrian American Association is committed in helping our brothers and sisters all over the world and by sending its theatrical performers to other cities it expects to raise awareness about Assyrians all over the globe by encouraging and sponsoring our artists. You do yourself and your publication a disservice by not checking with the other side before making comments and giving your personal interpretation on a subject or in my case a letter. You made an error in calling it a secret and confidential memo. Many copies of my letter have been distributed publicly and also to the directors of AUA and our Affiliates. A press release was issued covering a letter and the reply that was received. The letter was the subject of our radio program both here and abroad. How can that make the letter a secret or confidential. It is certainly notable when the Under Secretary for Politics of the U.S., who is directly under the Secretary of State not only reads your letter but replies that in the future, "Assyrian Participation is Essential." Isn't this what we want to hear? We have been striving and praying for our nation to be recognized and included? I understand that several others wrote letters and visited officials also complaining about the absence of Assyrian participation. However, I am unaware that any of them received an answer or explanation such as we have received. You made another error in assuming that recognition as the representative for the Assyrian people was being sought for myself and or the AUA. My appeal in the letter was for the U.S. to agree on recognizing an Assyrian person or organization as the Assyrian Representative. In my opinion this recognition for Assyrians would result in the elimination of our internal struggle among our people as stated in the letter. How come you didn't mention that others have recommended to the U.S. a specific person or organization as the representative? You made another error in stating that this letter may jeopardize the Assyrian Coalition and that the members of the coalition and other major political parties were not informed of the content of the letter. Recently there has not been any meetings of the Coalition to make any reports nor do I know of any letters that the Coalition has authorized or sent. You evidently do not understand the purpose or goal of the Coalition. We take positions and make public announcements on issues concerning our people that we agree on and lay aside for the future those issues where there is no agreement. Political parties and members of the coalition write letters, make declarations, raise money, hold rallies, visit governments and etc., for themselves without telling anyone or getting approval. AUA has met with several heads of State in recent years obtaining recognition and support for the needs and desires of our Assyrian People. In all cases AUA is the only member that reports to coalition on our activities and distributes copies to the members. This is right and proper as long as the member does not take a position on a subject that is in opposition to a position taken by the Coalition. Each member of the Coalition has their own organization, program rules and constitution. In most cases that information is known only to themselves. AUA is different in that it was established as an umbrella organization open to all Assyrians with affiliates around the world whose delegates approve the programs at an annual congress and also elect the leadership of AUA. We have not sought an affiliate in Iraq for obvious reasons and have not endeavored to interfere in the workings of the several parties in Northern Iraq of which the Assyrian Democratic Movement is the major party there and the member in the Coalition. We also have a working relationship with the other parties and seek to have all political parties affiliated with the political wing of the AUA which was adopted at the last congress. Unity is our goal. Your erroneous interpretation of my letter and the statements in your opening paragraphs sends the wring message to those in control of our homeland and confuses what our relationships are with each other. Your reprint of my letter is not presented as it was written. Paragraphs have been rearranged to give the wrong impressions. A copy of the reply to my letter from the Under Secretary is available on request and all other copies of letters which were written to others including President George W. Bush. One sentence in my letter to the President said: "You and your Administration are the only hope for Christian Assyrians to be able to remain in their Homeland of Iraq. A million have been forced to flee Iraq and the remaining two million will follow if a new post Saddam Democratic Iraq does not have Assyrians as part of the Coalition Government." How long will the Assyrian people have to put up with such poor leadership as displayed by the Assyrian Universal Alliance? I'm willing to forget the fact that this group hasn't been elected by the Assyrian people, but what upsets me is the smug way that John Nimrod is attempting to hijack a position in the INC for himself, without having discussed it with other groups. A leader, and I do use the term loosely, such as John Nimrod does not represent all our Assyrian people and all our churches. He does more harm to our cause than good, and should be replaced before he puts his foot in it yet again. This is what we've come to expect from a leader of a supposedly "secular" party who's last will and testament leaves all his wealth to Mar Dinkha, leader of the Church of the East. Let's now quickly run through the other main members of the AUA in order. Bet Kolia in Iran, a known member of the Iranian secret police, who implores our Assyrian people in Urmia and Iran to stay in the homeland, before taking a first class aeroplane ticket back to the USA where, of course his wife and children reside. In North Iraq we have Fawzi Harriri, a known member of the Kurdish Democratic Party (KDP). Fawzi's job is to ensure that any correspondence between members of the AUA is also sent to Barzani himself undermining our position in North Iraq and revealing all our secrets. Meanwhile in Australia we have Suzy David a known accomplice of the now infamous Karl Suleiman who openly supported and continues to support the failed con-man. She has recently attempted to rehabilitate her shattered image by attempting to get the Assyrian Genocide recognized. Not by the News South Wales State Government, but by the New South Wales Government Association! She then writes an eloquent letter praising herself and her achievements, before having Hermiz Shahen sign his name to it. What she forgets to tell the Assyrian people is that far from having made progress in the Genocide recognition field Ms. David has actually set the Assyrian Genocide recogniton issue back. This is unlike the Armenians who would've waited until the New South Wales Government, not NSW Local Government Association, had recongized the Genocide. Now that Ms. David has "telegrpahed" her intentions the Turkish government will bring its economic pressure to bear on the NSW State government and using its Trade Surplus as leverage it will ensure that the only other group recognizing the Assyrian Genocide will be the local NSW Dog Breeders Association. All up a very poor performance displayed by all the AUA. Who will save us from such poor leadership? Sydney as much as I can. Keep up the great work and god bless always. The Institute of Church History and Patrology of the University of Salzburg (Austria) and the Sinological Monumenta Serica Institute, Sankt Augustin (Germany), plan to hold, from 22-26 May 2003, an interdisciplinary symposium on the research on the so-called Nestorianism in China. The symposium will be organized in cooperation with the foundation PRO ORIENTE (Vienna) and the China Center of the University of Salzburg. Since the discovery of the first Chinese Nestorian documents and the Chinese Manichaica and their publication in the first half of the 20th century, numerous new archaeological findings, some of them truly sensational, have been made. New studies have been published in China and other countries, unfortunately without having received due reception in an interdisciplinary context. It, therefore, seems to be necessary to gather more interdisciplinary information about the present status of research on Nestorianism in China and to exchange the achievements that have been made recently in the different academic disciplines. The scholarly aims of the planned symposium are to make available the results of this research, to direct the attention to its geographical, historical, philosophical, and religious dimensions and to relate them to each other. The symposium will focus on the Chinese territory, but the wider context, e.g., China's neighbouring countries and non-Chinese ethnic groups, shall also be considered. Special emphasis will be given also on new research on the Nestorianism in Tang Time China. Themes of general interest are also to be treated as the historical development of Nestorianism, and the situation of Nestorianism today. Lectures on these topics will be given as public lectures at the University of Salzburg. To ensure the presentation of a wide range of research achievements, the title of the symposium has been formulated rather broadly. Participants are kindly asked to make their proposals for contributions to the symposium in this spirit and return the attached reply form to the organizers. The languages of the symposium will be English and Chinese. Participants are expected to read a paper (approx. 30 minutes). Short(er) communications on specific research results are also welcome. A publication of the contributions is planned. The symposium will be held at the Bildungshaus St. Virgil in Salzburg. The organizers will provide board and lodging free of charge. Participants are kindly asked to apply for refund of their transportation costs in their respective countries. We will, however, try our best to help those who have difficulties in obtaining these funds (economy class air tickets, 2nd class train tickets). For visa, please inquire with your local Austrian embassy or consulate. To ensure an efficient preparation of the symposium, please return the reply form with the tentative title of your contribution no later than 20 July 2003. We are looking forward to your participation in the symposium and a fruitful academic exchange. Prof. Dr. Roman Malek S.V.D. Please join me for a memorable evening of exotic flavors, wine and music - the first annual Narsai's Taste of the Mediterranean, Friday November 15. This event will take place at the Ritz-Carlton in San Francisco. Michael Mina from Aqua Restaurant will team up with four innovative chefs to create an elegant five-course dinner for over 300 guests. This gala event is especially close to my heart since it benefits a lost culture, the cradle of civilization, the Assyrians in our homeland. Our goal is to raise $100,000 for a new dormitory/youth center for University students in Erbil. Erbil happens to be the oldest occupied city to date. It is very satisfying to know that this dormitory will serve an eager group of young people to continue their education when otherwise they may not have the means. The event begins at 6:00 PM with an hors d'oeurvre and champagne reception. Here you will have a chance to meet the chefs as well as bid on an array of silent auction items, from dining opportunities at Bay Area's best restaurants to weekend getaways. The five-course dinner follows at 7:30 PM, featuring entertainment and a live auction. This will be a truly elegant affair accompanied by several wines made by Assyrian wineries. I hope I can count on your support so we may continue the work of this tremendously important cause. You may guarantee your early reservation by completing the enclosed reservation form. If you would like additional information or know of someone else who might be interested, please feel free to call us (Michael 510.527.9997). Thank you for your kind consideration of this request and for helping me to make this first event a successful one. All the benefits of a GOLD Sponsor, plus ½ page ad in the souvenir program; autographed photo of the celebrity chefs; engraved company or individual name at the University Center entrance. All the benefits of a SILVER Sponsor, plus logo acknowledgement in the invitation; ¼ page ad in the souvenir program. Includes priority seating for ten; reception, dinner, and auction; acknowledgement in the invitation, AAS newsletter and souvenir program; and gifts for each guest. This special package includes two BENEFACTOR tickets and an overnight stay at The Ritz-Carlton, San Francisco. On November 16th, enjoy a continental breakfast at The Ritz-Carlton's exclusive Club Lounge. Limited availability. This seminar will address the issue of voter apathy and its effects. Speakers will also touch upon the mobilization of communities as well as volunteerism and the political visibility of an ethnic community. For more information about this seminar, please call, (773) 461-6633 or email: nadiaejoseph@hotmail.com. Topic: Avoiding Politics: How Americans Produce Apathy in Everyday Life. Nina Eliasoph teaches in the Department of Sociology at the University of Wisconsin-Madison. She was a Visiting Scholar at the Annenberg School for Communication, University of Pennsylvania, 1994-95, and has published in the areas of sociology, politics and communications. She has also produced news and public affairs programs for radio. Professor Eliasoph will discuss her book, Avoiding Politics: How American Produce Apathy in Everyday Life. The book by Professor Eliasoph is about the culture of political avoidance. She points out that many Americans avoid discussing politics hence creating apathy. A portion of her book focuses on how volunteers from different organizations and communities have tried to make their work and effort count by engaging in civic responsibilities in order to emphasize the importance of participating in civic life and becoming more politically aware of the world around them. Furthermore, she questions why Americans indulge in avoidance, a subject matter very close to the Assyrian community who exhibit signs of apathy towards civic life and political discourse. Professor Eliasoph's book illustrates the causes and effects of apathy and how to resolve the problem. Robert W. DeKelaita is a graduate of Loyola University School of Law. He received his Masters degree from the University of Chicago in Political Science/International Relations. He is an attorney who has established his own private law firm in Illinois. As a prominent member of the Assyrian community, Mr. DeKelaita's most cherished achievement is the establishment of the Ashurbanipal Library located in Chicago, Illinois. He was the editor of Nabu Quarterly, a magazine dedicated to news and analysis of the Assyrian community and the Middle East. He has authored a number of articles on Assyrians and is currently collecting data to publish a book on Assyrian nationalism. Mr. DeKelaita has worked on Immigration cases and currently practices Immigration law. Mr. DeKelaita will discuss the importance of becoming U.S. citizens. He will elaborate on the necessity and purpose of government and how to understand the meaning of fundamental ideas, including equality, authority, power, freedom, justice, and responsibility. Greg Kazarian received his law degree from the University of Illinois, where he was recognized as the outstanding advocate in the Frederick C. Green Moot Court competition and was a member of the National Moot Court Team. He obtained his Bachelor of Science degree in Biophysics from the University of Illinois as well. He is a partner at Pedersen & Houpt and happens to be a member of the Litigation and Dispute Resolution Practice Group. He has been practicing law since 1988. Mr. Kazarian handles all phases of litigation in both federal and state courts for clients involved in lawsuits concerning a variety of legal issues including contract disputes, employment matters, real estate, intellectual property issues, creditors' rights and administrative hearings. He also serves as general counsel for several mid-size businesses including a manufacturing company, a software development company, a human resource consulting firm and a national nonprofit association. Mr. Kazarian is involved in the Armenian community and will be discussing the importance of civic engagement and how the Armenians have come together as a community in this respect. The Armenian community is noted for its strong civic engagement in the U.S. and Mr. Kazarian will point to the Armenians as an example of how they have organized community leaders in the way of promoting and educating Armenians about the process of registering to vote, becoming knowledgeable about candidates and their platforms, and how all of the above affects the community in question. Constance Kaplan is the Director of Community Services, Training and Special Registration Programs for the Chicago Board of Elections Commissioners. She is experienced in all aspects of office management, program development and election administration. More than 30 years of progressive experience in election matters, legal procedures and budgetary issues. She has served as an election consultant to international groups, agencies and governmental officials. As Education Chair of the International Association of Clerks, Recorders and Elections Officials and Treasurers, Ms. Kaplan has developed and coordinated numerous education programs and seminars on public administration, civic education and media relations, as well as election technology, practices and procedures. She was a participant in election reform initiatives, committees and task forces established in response to the 2000 Presidential election. Ms. Kaplan has participated in numerous election reform legislation, mandates, and programs. She has designed and coordinated materials Election Day crisis management involving more than 600 field monitors and administrative personnel. She has also developed creative training programs and materials for 15,000 Election Day poll workers, NGO representatives and political parties. She will discuss the importance of registering to vote and voting. Marilyn Stephens obtained a Bachelor of Arts degree in Marketing from DePaul University. She joined the U.S. Census Bureau in May of 1998 channeling her wealth of talent, expertise and experience towards the fulfillment of an important civic responsibility, obtaining a complete and accurate count of every U.S. resident. Ms. Stephens committed all of her energies to achieving success as coordinator of the Bureau's Partnership Unit. She has been involved in the educational arena and has successfully served as executive director of the Citizens Schools Committee, a non-profit educational advocacy organization; she is Board member of the Chicago Public Schools' Monitoring Commission for Desegregation Implementation; President of the Chicago Panel on School Policy and Co-chair of the City Wide Coalition for School Reform. Prior to working for the Census Bureau, Ms. Stephens used Census data in her many testimonies to state legislatures throughout the nation regarding equity in educational funding. She was honored by the National Publication Sales Agency as "One of Chicago's Top Business and Professional Women." Ms. Stephens will present a visual lecture and discuss how to acquire and access Census data for community projects. I am writing to inform you that The Assyrian Australian Academic Society (TAAAS) has been actively involved in organising the third Genocide Conference that is arranged specifically on Assyrian issues. Speaker: Dr. Gabriele Yonan from Germany - "Genocide & Identity"
Dr. Racho Donef from Macquarie University -"Assyrians in the Ottoman Archive"
Stavros Stavridis from University of Melbourne - " The Assyrians do exist "
Panayiotis Diamadis from University of New South Wales -" Australians in Assyria 1915-1920 "
Eva Oraham from TAAAS will be presenting submission by the Assyrian Universal Alliance Australian Chapter - "submission on recognition of Assyrian Genocide presented to the Local Government Association of NSW dated 2nd August 2002 which was researched, prepared & presented by Ms Suzy David. As you would appreciate such events despite its positive impact consume a lot of our time and effort. Therefore, we are writing to you requesting your support by promoting this event. With your support, TAAAS can pursue this project that is critical to raising the profile of our community and our history within & outside Australia. We are encouraging all the Assyrians & non-Assyrians living Australia to attend the Genocide Conference, as attending such Conference is imperative especially for the Assyrian Community. 1. Reward quest for knowledge and excellence. 2. Provide financial assistance to students in pursuit of higher education. 3. 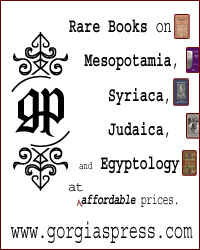 Promote research in Assyrian studies, thereby preserving the Assyrian cultural heritage. 4. Use Assyrian students' research interests and fields of study for the Association to set appropriate goals in its programs for the college and university students in the Bay Area. 5. Provide an opportunity for Assyrian college and university students to establish closer ties by working on common projects of mutual interests. 6. Help Assyrian college and university students to develop skills in leadership, research work, formal writing, as well as oral presentation in large group settings. Students who meet all of the following requirements are eligible to apply for the scholarships offered in this document. 1. Having been born of at least one Assyrian parent. 2. Having completed at least one semester or one quarter (depending on the school system) of studies. 3. Having registered in at least 9 semester units or 12 quarter units (depending on the school system). 4. Having a cumulative GPA of 3.0 or higher. An individual or team project. Literacy in writing and reading Assyrian not required. · A 15-20 page paper with a 1-page summary including a bibliography. Top paper to be presented in person by the respective author(s) in the awards ceremony. · Be specific on material presented. You may include additional information in the appendix (not to be counted toward the total number of pages) to support your arguments. · Discuss what were the motives behind this war. Discuss what were the motives of Assyrians in the region who immigrated to the United States, Canada, and Australia during and after this war. Discuss whether this war was the single cause for Assyrians' immigration to these countries. · Provide an analysis of the current situation of the Assyrians residing in the United States, Canada, and Australia as well as an analysis of the current situation of the Assyrians who chose to remain in the region. Support your arguments with verified statistics. · In hindsight, how do you perceive this war affected Assyrian ethnicity? For better or for worse? Why? Provide an objective discussion. · What do you perceive to be "Next Step" for Assyrian ethnicity? The papers will be evaluated by a 5-judge panel and the top two papers will be presented by the respective authors in the awards ceremony to be held on Sunday, 9/29/02 at the Starlight Banquet Hall. It is a well-established fact that few so-called scholars and historians, who were and still are in search of personal glory, had abused and distorted ancient history. Nobody can and beyond any reasonable doubt prove that today's Assyrians are not the descendents of the ancient Assyrians. I wonder if such historians could dare to claim that at least segments of today Greeks, Italians, Iranians, Egyptians are not the logical descendents of the ancient Greeks, Romans, Persians and Egyptians respectively? Few historians had adopted the basic psychology technique, which teaches us that when looking for a mean to deny or question a certain crucial issue, a person needs simply to implant the factor of DOUBT in the mind of the vulnerable reader or listener and this is what John Joseph had applied in his newest book, or should I say his new old book with basically new title and cover. The latest book by Joseph, The Modern Assyrians of the Middle East, is simply a revised edition of his1961 book "The Nestorians and Their Muslim Neighbors". I guess Joseph lacks creativity and vision to publish something new so he looked in his old stuff, picked this 40 years old book and gave it a face-lift. While the author justified his motion of giving the title "The Nestorians and Their Muslim Neighbors" to his old book by claiming that he was speaking about the members of the Church of the East, what justification could we give the author for changing the title to "The Modern Assyrians of the Middle East," yet neglecting completely, for example, the Orthodox Assyrians, wrongly named Jacobites. If the author had decided to address the Assyrians of the Middle East, why did he ignore the Catholic Assyrians throughout WWI and their condition in Iraq today with the exception of mentioning the issue from a narrow prospective of the Churches' dialogue? Does Joseph believe that the members of the Chaldean Catholic Church and Syriac Orthodox Church are not Assyrians? In this new-old book, the author implanted this factor of doubt here and there to confuse the reader and did this in a very methodical and clever way. He did so while trying not to show himself as a completely blind antagonist. He stated, for example, in one paragraph, quote: "In the eighteenth century Assemani used "Assyrian" in reference to the Nestorians but with no implication that they were the descendants of the Assyrians. Assemani, according to Fiey, found a certain Assyrian descendance in all the peoples in the region: Jacobite, Nestorian, Sabaeans, Yezidis, and a great deal among the Kurds." Unquote. Even in this quote, he is adding further doubt by choosing a quote that is mysterious enough by bringing the Kurds in his argument and the thought that there was no implication that the Nestorians were descendants of the Assyrians! Some readers and critics out there jump hastily when Assyrians try to justify their link to ancient Assyrians. They blame Assyrian authors today for being selective; one wonders who is not selective among today's historians? When reporters travel thousands of miles from New York to north of Iraq and return only to publish an article about the Kurdish struggle and ignore the Assyrians, they are being selective. When authors write about the Holocaust as a word synonymous with the Jews, they in fact are being selective, in a horrible manner. We are all selective in what we do, with perhaps very minimal exceptions So why should Assyrian authors be branded being selective when everybody else is trying to prove that the Assyrians of today are not the descendants of the ancient Assyrians? Is being selective a privilege of the few? Joseph in his book implied that it was the archaeologist Layard who had created the modern Assyrian name in the 19th century as he stated, quote: "When archaeologist Layard further publicized the historic minority [Joseph refers to the Aramaic-speaking Nestorians Christians] as 'Assyrians', the name acquired a new connotation when other forces at work in the region-religious, nationalistic, imperialistic-engaged these modern Assyrians in vagaries and manipulations in which they were outnumbered and outclassed." Unquote. Well, we have to respect any person's opinion, but we must remember that this opinion of Joseph was confronted meanwhile by Prof. Richard Frye for example, who in his article "Assyria and Syria: Synonyms" has shown, contrary to Joseph, that people had used the term Syrian and Assyrian before the 19th century. Other Professors like Simo Parpola have proven that Assyrians didn't simple vanish. In fact the Assyrian name was used in Russian archives during the 17th century. I am not sure what Joseph is looking for really. Is he asking the Armenians, for example, to use the English term Assyrians in their documents, when they use Asori in their own Armenian language? Is Joseph asking the Arabs to use the English term Assyrian when they use Ashuri in their own Arabic language? Joseph assumed a conclusion that the ancient Assyrians couldn't have survived because they dropped their mother language, i.e. the cuneiform Akkadian, and adopted the Aramaic, unlike the Persians. Joseph stated, quote: "
" Unquote. First, we need to remind Joseph that his argument has no foundation since the Assyrians replaced their complex Akkadian cuneiform language with the easier alphabetical Aramaic in 752 BC while the empire continued some 150 years after that and was in fact real powerful then. The Akkadian was the language of the Assyrian courts but everybody did not read or write it, although they spoke it. A good reason for using the Aramaic was to facilitate administrative tasks because Aramaic was better known in the other vast regions of the Assyrian Empire. Meanwhile, there is ample proof of how Aramaic is influenced by the Akkadian language. The Akkadian itself survived long after the empire had fallen. Aro and Whiting wrote: "
I have argued elsewhere that Akkadian was likely to have survived throughout the Parthian period, at least until the mid-3rd century AD." Read Sanna Aro and R. M. Whiting, The Heirs of Assyria, a paper by M. J. Geller titled "The Survival of Babylonian Wissenschaft in Later Tradition." Secondly, Syriac manuscripts tell us that: "Bait Aramaye is an ecclesiastical administrative term referring to southern Mesopotamia, or al-Iraq al-Arabi, or Bilad al-Nabat of the Arabic sources. The ecclesiastical term for northern Mesopotamia, Athur (Assyria), corresponds to al-Jazira, or the land of Mosul of the Arab geographers; see Fiey, Assyrie III, 12, 36." Read Amir Harrak, "The Chronicals of Zuqnin," Parts III & IV, AD 488-775. Hence Harrak is telling us that Bait Aramaye was applied to southern Mesopotamia and not Assyria. Furthermore, we need to remind Joseph that Assyria later in the Christian era was assigned Assyrian bishops who were titled "bishops of Nineveh" in many periods. And when the Romans invaded the region in the second century of the Christian era, they called it "Province of Assyria." And then Joseph claims that the Nestorian Assyrians were Arameans and even more when he wrote, quote: "Members of the Aramean community of Iraq, mostly Nestorian Christians, and many of them Persian converts who had held offices of trust under the Sassanians, now served the Arab administration." Unquote. We need yet again remind Joseph that many missionaries have admitted that the Christians of the Mosul plain in Iraq, Urmia region in Iran, and Hakkari Mountains in Turkey have referred to themselves as "Surayeh," which we know today that it is the Christian version of Assurayeh or Ashurayeh, the Syriac equivalent for the English Assyrian. Again, it is Joseph's thought against many others. Although the book contains some good information about the inter-relations between the Assyrian Christians and their Moslem neighbors in the Middle East, the author fell too short in addressing seriously many issues relating to many important matters. The authors, for example, dedicated very few lines to the Mosul and Kirkuk incidents between the Assyrians and the locals and he basically leads the reader to the conclusion by blaming the Assyrians for the troubles! As important as these incidents were in the history of modern Iraq, he did not bother to address the two incidents thoroughly. In his analysis, the author casually discusses the Nestorians in this manner on page 154, quote: "It is difficult to speak with confidence of a national sentiment among these Christians [author referring to Nestorians], a people who had never constituted a single and comprehensive state. Their history was unlike that of the European Christians of Turkey, who for centuries had nourished a common stock of traditions and aspiration that were identified with particular territories, furnishing the minorities with a psychological basis for a centralized political entity. The Nestorians, like the rest of the Eastern Christians, with the possible exception of the Maronites and the Armenians, had no local nucleus or a definite area of homeland." Unquote. I am not sure what the scholarly world calls this paragraph, but it is full of inaccuracies. How the Assyrians conducted and ran their daily lives and where their homes were for centuries and their traditions are well defined in many history books. Then the author on page 149 claims that one of the reasons the British brought the Assyrians from Urmia to Iraq was because of famine! I am wondering what references Mr. Joseph was using to reach this silly conclusion? The British had their eyes on the oil in Iraq. They needed a separate group like the Assyrians to use them as a political card against the future government in Iraq in order to have things go their way in Iraq. At this time the British were sure what was the future of the three Ottoman wilayats, Mosul, Baghdad and Basrah. Famine, in the eye of most political analysts, was not even a reason worth mentioning. Furthermore, the hypothesis presented by the author disproving the linkage of ancient and modern Assyrians would not change any Assyrians' perception to whether he is an Assyrian or not, since it is Joseph's thought against many others who have proven otherwise. Joseph had failed to convince this reader with his weak argument. The Assyrians has lived in northern Mesopotamia (Assyria) from time immemorial. The Assyrians of today speak the same Aramaic language spoken by the ancient Assyrians, or any number of dialects of it, a language that had much Akkadian influence in it. And finally, the Assyrians adopted Christianity during the first century and the Assyrian church records have kept that linkage alive till this very moment. When Oshana Jouna arrived in Wellington, New Zealand three years ago he spoke very little English. Now, as one of his school's prefects, he is considered a role model to all pupils, particularly those for whom English is a second language. The Assyrian student came here in 1999 from Iraq under the family reunification scheme. His sister arrived in 1994 and he and his parents joined her, her husband and their daughter under the scheme. His brother-in-law came to New Zealand in 1990 as a refugee during the Gulf War. In Iraq, Oshana had studied English at school for five years but had no practice in speaking it. Studying five Sixth Form Certificate subjects this year at Rongotai College, Oshana hopes to return to school next year and do well enough in Bursary to get him into university or aviation school. Differences between his home city Baghdad and Wellington included the weather. In Iraq, winters are much colder and summers much hotter. The school timetable was also different. Although a Christian, Oshana went to an Arabic school where students were mainly Muslim. He had classes every day except Fridays from 8am until 12.30pm. Some of his Assyrian friends in New Zealand grew up in different parts of Iraq and have different accents, making it impossible for them to understand each other except in Arabic. "Assyrian is my first language, which I speak at home, but I'm probably better in Arabic because it was what I learnt at school in Iraq." He said most of his Kiwi classmates associated his homeland with the Gulf War and Saddam Hussein but he said there was much more to Iraq than that. He missed his friends, but a part-time job at a Turkish cafe gave him a taste of home, he said. His language teacher, Karen Thomas, said Oshana was very quiet at first but had blossomed to become a fantastic role model for all pupils - particularly the school's 20-odd Assyrian pupils and other foreign students, many of whom were refugees. Rongotai College's roll includes pupils from 49 ethnic cultures. Ms Thomas said refugee pupils sometimes found it hard to settle in, but Oshana's application and focus -- from the moment he arrived -- had made him an excellent role model.